Lesson Learned in Haiti? Latest Consumer Protection Profile Up. 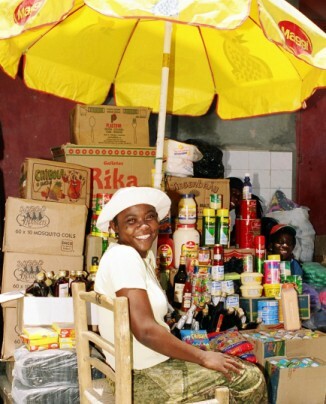 Many microfinance institutions in Haiti operate without oversight or regulation from financial authorities. No, these MFIs aren’t flying under the radar or sneaking by hoping banking regulators don’t catch wind of their operations. The fact is that in Haiti, a whole segment of MFIs operates outside government oversight simply because no regulation exists for them. After lax oversight provoked a crisis that wiped out millions of dollars of savings in Haitian cooperatives in 2002, a group of non-cooperative MFIs formed an industry association to deal with the threat of a similar crisis in their sector. That association, ANIMH (Association Nationale des Institutions de Microfinance d’Haïti), took a lesson from the 2002 crisis and lists developing government regulation for the sector as one of its primary goals. Following the cooperative crisis, the government quickly passed legislation to increase oversight of savings and loan cooperatives, but stopped short of regulating the entire microfinance sector. According to The Economist (link to PDF report), legislation to do this has been pending before Parliament for at least two years. It looks like ANIMH got the message that regulation could prevent a crisis similar to that of 2002 in their sector. The question now: has Parliament gotten the same message? To read more about this and other topics on Client Protection in Microfinance in Haiti, check out the new Haiti profile in the Client Protection Library.